Artist x Producer. Tshegofatso, born and bred in Atlanta.. The ATL born Tshegofatso Ketshabile ( May 21 1990) may have been nested in America, but his wings of talent were polished in Mafikeng, South Africa where he was raised from 2002. Inspired by music, Tshego fell for the art never to look back. Although birthed with the gift of singing, he found that rapping was no difficult feat for him. Driven by his passion for music, his eyes set on becoming one of the greats in music’s dynamic industry and an incomprehensible work ethic. he is currently signed to Family Tree Records, a South African independent record label owned by Cassper Nyovest. Despite being young , Medikal already has an active fan base and has already released a couple of hit songs including Confirm, Forever My Love (featuring Bisa Kdei), Confirm Remix (featuring Sarkodie) , By Heart Boy and Connect . 2016 Ghanaian music artiste of the year E.L also featured him on his recent mixtape B.A.R III : Lomi Era. Patty Monroe is the stage name for Megan Steenkamp. Patty was a nickname she received in school. Patty was raised in Southfield Retreats, south of Cape Town in South Africa. She is the youngest of three children. Her desire to become a hip-hop musician grew from watching her brother who was an MC, who took her to a Night of the Beat Bangers event at the age of 15. She auditioned at MTV Base’s VJ search and a correspondent watched her randomly freestyling and then wanted her to record sessions at Karimore Studio in Cape Town. She declined as she wanted to concentrate on her studies. Patty made her own EP after which was picked up by hip-hop artist GSuspect. Famous House musician DJ Culoe De Song produced her first track High Fashion. Patty Monroe is signed with Afterlife Talent. Lehlogonolo Ronald Mataboge (born March 27, 1997), better known by his stage name A-reece, is a South African hip hop recording artist and songwriter from Pretoria West, Gauteng. He is best known for his debut hit single, “Couldn’t” which features label-mate and award winning hip hop artist Emtee. A-Reece is currently signed to Ambitiouz Entertainment, a South African independent record label. Lehlogonolo Mataboge originates from Pretoria in the Gauteng Province. He started writing music in Primary School following the footsteps of his older brother Phologo Jody Mataboge, known as P-Jay from the hip hop duo “B3nchMarQ”. He got his stage name “A-Reece” from his star sign Aries. In 2014 A-Reece release “Casper Picture” a song that is inspired by the life of South African rapper and producer Cassper Nyovest. PH Raw, a South African record producer recognized his talent and signed him to “Raw X Productions” imprint at the age of 16. A-Reece released his debut mixtape titled “Forever Young” on August 2013 and later one released his second project “Browniez EP” on October 31, 2014 under Mythron/Raw X Records. In 2015 he was signed to Ambitiouz Entertainment and released his first single “Couldn’t” under the label. He released “Cutaways EP” on 29 September, 2016 which consists of songs that didn’t make the cut for his debut album “Paradise”. His debut album was later released on 21 October, 2016 and topped the No.1 spot on iTunes just under 24 hours after its release. Benn Gilbert Kamoto (born June 14, 1990), better known by his stage name Gemini Major, is a Malawian-born record producer and Singer-songwriter. Gemini Major is currently also signed to Family Tree Records, a South African independent record label. Gemini Major finished high school in 2007 and later graduated in I.T in 2009. In the same year, he moved to Durban, South Africa to pursue his dream as an artist and record producer. Gemini Major has produced for a number of artists in a variety of genres ranging from R&B, Hip-Hop,House, Dancehal, Pop and Gospel. His portfolio includes production used in TV Shows such as Gold Diggers Season 3, Forever Young and Mo Love. In 2013 he moved to Johannesburg. After a chance meeting with Cassper Nyovest and his team at a video shoot for a song that Gemini Major had produced, he joined the Family Tree team. After the release of Nasty C’s hit single “Juice Back”, Gemini has become the go to producer for some of South Africa’s leading Hip-Hop artists. Real name Baidoo Lukeman, the young and talented rapper who is known for his demotic Fante rap came into limelight after emerging the first runner-up at The Next Big Thing In Ghana reality Show on Ghana One television station. 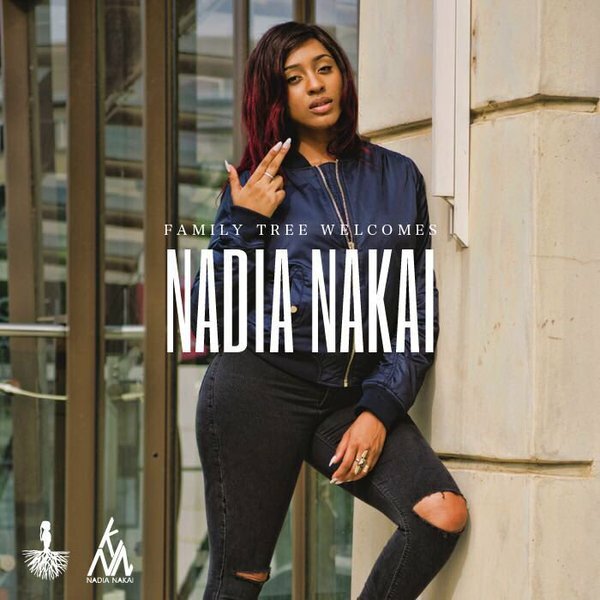 she is currently also signed to Family Tree Records, a South African independent record label. She calls herself the rap queen and has the skillsShe attended high school in Fourways, South Africa before moving to Kenya. to prove it, we chat to Nadia about her start in the music industry. We find out just how she does it all – the day time job, her new Saka Wena track with Ice Prince and everything else she is up to. His Real Name is Aboriomoh Femi Raymond while he is better known and popularly addressed as Dremo . He was born on the 26 of August, 1993 and he is originally from Edo State, south-south region of NIgeria . Dremo was formally signed on to A.P.P.E. Music but he is now signed to HKN Music after leaving A.P.P.E. Music . Dremo is a Nigeria recording artiste, songwriter, record producer and a performing artist signed to HKN music / Davido world wide Music label. Aboriomoh Femi Raymond popularly known with his stage name Dremo was Born in Edo State Nigeria , he later moved to Ibadan Oyo State to settle down and in search of greener pasture . Dremo a fast rising singer who was signed to HKN music / Davido world wide Music label on the 5th of April, 2016. He started recording music in the studio at the age of 12 and inked a record deal with his former label A.P.P.E Music 3 years ago. Dremo’s music is a unique fusion of Afro beat & Afro pop with a unique blend of urban tunes which is one reason fans love his brand so much .